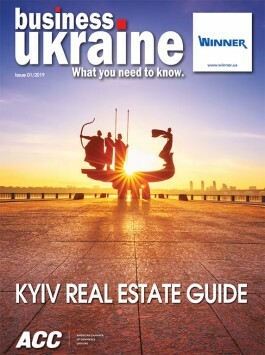 Khreschatyk is officially Kyiv’s main street. However, if you are looking for the street that best captures the ancient spirit and fairytale elegance of the Ukrainian capital, then all roads lead to Andriyivskiy Uzviz. 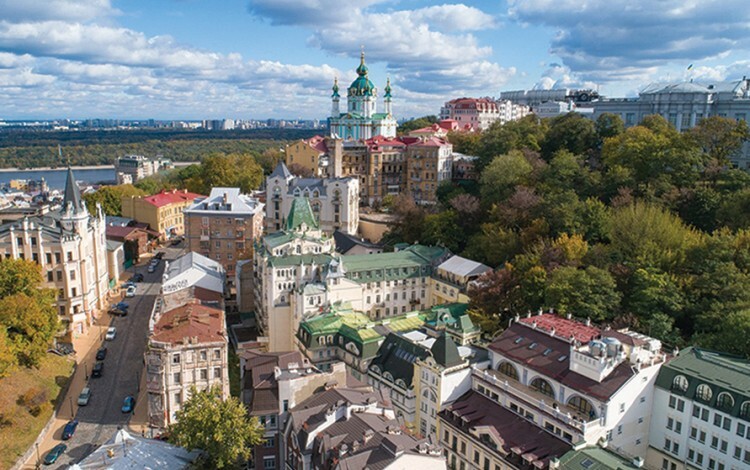 This cobbled and meandering avenue winds down from the historic heart of medieval Kyiv to the riverside Podil district that once served as the commercial heart of the entire Kyiv Rus state. As Andriyivskiy Uzviz twists and turns on its way towards the Dnipro River, the street offers an intoxicating tour of Kyiv history. The origins of Andriyivskiy Uzviz remain intertwined with the mythmaking underpinning the founding of Kyiv itself. According to one popular version, the street takes its name from St. Andrew the Apostle, who visited the hillside in the first century and prophesized the emergence of a great Christian city. Legend has it that at the time, virtually the entire area lay beneath a vast inland sea, with only a few hilltops emerging above the water level. When St. Andrew erected a wooden cross on the high point where St. Andrew’s Church currently stands, the waters dramatically subsided to their current levels, leaving the Dnipro River flowing far below and creating the distinctive hillside panorama that has served as Kyiv’s calling card for the intervening two millennia. The church built on the site of this legendary visitation remains one of Kyiv’s most photogenic landmarks and the central feature of the Andriyivskiy Uzviz architectural ensemble. St. Andrew’s Church dates back to the mid-eighteenth century and is the work of Italian architect Bartolomeo Rastrelli, who designed it for Russian Empress Elizaveta Petrovna. The church is a masterpiece of the baroque style and is reminiscent of Rastrelli’s many imperial palaces including the Ukrainian capital’s own Mariyinskiy Palace, which sits some distance further along the Kyiv hills. St. Andrew’s Church is notable for the absence of a bell tower. This lack of bells is often linked to the superstitious belief that the ringing of church bells at this site would cause the ancient inland sea previously vanquished by St. Andrew to miraculously return, thus flooding Podil and Left Bank Kyiv (while no doubt playing havoc with flight schedules at Boryspil International Airport). Other significantly more plausible explanations for this absence of bells also exist. Notably, as the church was to be a personal place of worship for Empress Elizaveta, it actually had no need for bells to call the congregation to prayer. The many individual legends of Andriyivskiy Uzviz could comfortably fill an entire book, but there are a few landmarks of particular interest. Those looking to learn more about the street would do well to begin at the “Museum of One Street” (2b Andriyivskiy Uzviz). As the name suggests, this quirky and award-winning museum offers a detailed history of Andriyivskiy Uzviz, including some great images depicting the street during different epochs. It is a treasure trove of information and boasts over 6,500 exhibits. The Bulgakov Museum (13 Andriyivskiy Uzviz) is the former family home of Kyiv-born Russian-language literary great Mikhail Bulgakov. It serves as the principle backdrop to the action in his celebrated novel “The White Guard”, which recounts the drama and mayhem in the Ukrainian capital in the aftermath of the Bolshevik Revolution. Today it is an eerie and atmospheric museum dedicated to the writer and his legacy, with whitewashed exhibits adding to the somewhat ghostly atmosphere of his former residence. The street has a large number of memorial plaques and monuments ranging from a statue of Kyiv Rus ruler Yaroslav the Wise to a seated depiction of Bulgakov close to his former home. Perhaps the most iconic monument is a street-level depiction of the stars from the Soviet-era romantic comedy “Chasing Two Hares”. The plot of this much-loved movie revolves around the antics of roguish dandy Kyiv barber Svirid Golokhvosty, who is seeking to secure a generous dowry by marrying Pronya Prokopovna. The monument depicts the act of proposal and is a popular spot for Kyiv selfies. According to local tradition, those who rub the hand of the lady will become lucky in love.